Surging carbon emission prices and higher generating fuels boosted German power in 2018, and with EUAs unlikely to fall back to levels seen in previous years, further support in short-term traded power can be assumed despite a volatile economic outlook and growing renewables. Overall, elevated power price levels meant that negative prices in Germany's short-term market have become less likely in 2019 compared with previous years - a trend likely to continue if carbon prices hold up. In 2018, baseload day-ahead delivery averaged Eur44.36/MWh, up Eur10/MWh from 2017, according to EPEX spot data. Price pressure for specific days or hours stems mainly from strong wind in renewables-rich Germany. However, despite a growing onshore wind portfolio of currently around 54 GW, 2018 saw only two days slip into the red, data from EPEX Spot showed. In 2017, six days settled below Eur0/MWh and in 2016, four days turned negative. Short-term power this year was supported by not only a higher price environment, but by the jump in carbon allowance prices and higher generating fuel costs incentivizing conventional power plants to adjust production when renewables peak. While low carbon prices below Eur10/MWh in 2017 might not have pressured a coal plant to ramp down for a day or two, an EUA price of Eur20/MWh and above is a bigger threat to production margins even during comparatively short windows of time. Wind and solar output reached 159 TWh in 2018, which is just over a quarter of total power demand, according to industry-lobby BDEW - and despite fewer renewables additions planned in 2019, output is expected to grow. While this is a clear driver of price volatility, the current carbon price level comfortably above Eur20/MWh is expected to continue to support power prices and to drive a more adjusted conventional power output going into 2019. Christmas 2018 was the priciest Christmas in Germany for the past eight years and - apart from 2010 - the highest since at least 2000, historical S&P Global Platts data showed. At EPEX, power prices this year averaged Eur37.75/MWh for December 24-26. The price during Christmas 2017 was in the red at minus Eur3.19/MWh amid stormy weather. German year-ahead power rose sharply by 35% to average Eur43.87/MWh in 2018 - for Germany only, until December 26 - when compared with Eur32.40/MWh in 2017 for futures of the German-Austrian price zone. Gas-fired generation margins including emissions (CSS) for the front year have risen to the highest level since end-2011 in December, indicating a trend that gas-burning is on track to be more economical in 2019. The CSS was still in negative territory at minus Eur5/MWh in October, but reached positive territory mid-December and hit a high of 81 euro cent/MWh on December 18. Gas-fired generation almost closed the gap to generation costs of the oldest coal-fired power plants (35% efficiency) at the end of 2018. The Clean dark spread (CDS) front year for 35% efficiency was in December up to December 21, at 32 euro cent/MWh compared with the CSS front-year (50% spread) averaging Eur0/MWh during the same time. While coal burn profitability slightly decreased in 2018 for the front year by Eur1-2/MWh when compared with 2017 - even falling into the red for a 35% plant at minus Eur1.9/MWh - a 50% efficient, modern gas plant could slightly recover average margins by 20 euro cent/MWh to minus Eur3.35/MWh. Looking at actual gas-fired spreads in 2018 for the day-ahead production, a year-on-year drop of around Eur5/MWh to minus Eur3.86/MWh draws a more pessimistic picture for gas, however a strong trend change to recovery has become visible later in the year. While in the first six months of 2018 the CSS (50%) stood at an average of minus Eur8/MWh, the spread recovered into the black at Eur0.24/MWh in the second half of the year. Power price developments and fuel switching potential further out will also depend on possible political interventions in 2019. 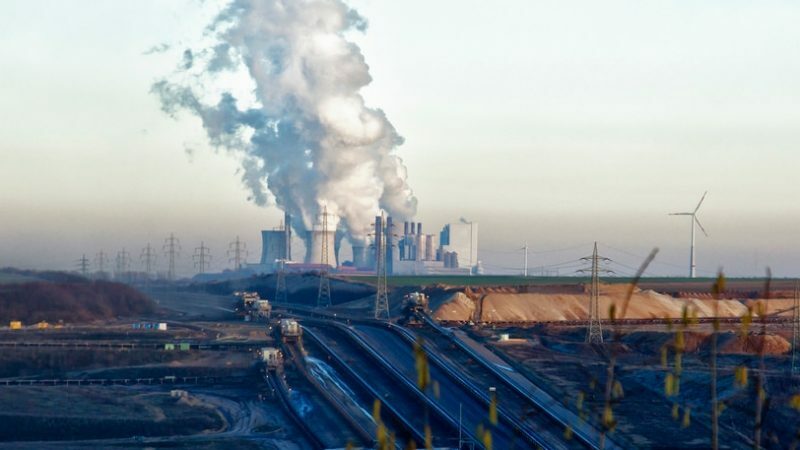 The so-called coal commission has been tasked to give guidance in February to the German government on how to best phase out coal and lignite while securing economic perspectives for workers in the industry. Initially the report was due at the end of 2018. Germany wants to reduce emissions in 2020 by 40% compared with 1990. According to the BDEW, the power sector is on track to meet that target with 2018 emissions seen 3.4% lower on year. In 2019, emissions should drop even more, given RWE's forecast of a 9- to 13-TWh output cut for its lignite plants because of the Hambach court ruling.